AUSTIN, Texas, April 27, 2018 /PRNewswire/ -- Hanger, Inc. (OTC PINK: HNGR) is transforming the patient experience for people with limb loss and limb difference with the launch of MIGOTM, a first-of-its-kind virtual reality (VR) experience. "As America's industry leader in prosthetic care, we're dedicated to investing in new technology to support those we serve," stated Hanger, Inc. President and Chief Executive Officer Vinit Asar. "Producing this VR experience to further empower the limb loss and limb difference community is an example of our commitment to fulfilling the triple aim of healthcare, which equates to exceptional patient care and experience." 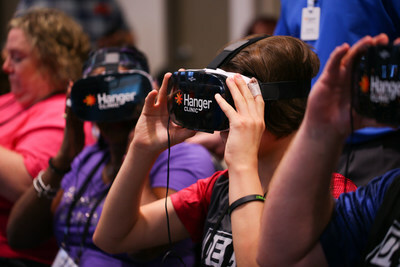 More information on MIGO VR is available at www.HangerClinic.com/MIGO.